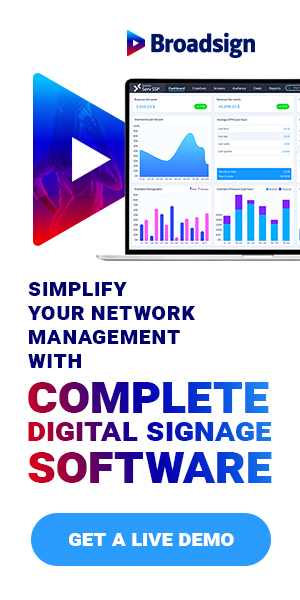 The Charlotte, NC digital signage solutions provider and network operator 10 Foot Wave has been acquired by Spectrio, which describes itself as one of the leading end to end technology-enabled audio and video marketing companies in the U.S. The deal actually happened in early February, and it is described as a partnership. Billing will start to say Spectrio on it, though, which suggests the 10 Foot Wave bit may be washed away. Makes sense. Both companies have some experienced people, like Aaron Kleinhandler and Dave Van Epps. Blending creates efficiencies, and more available bodies and minds is usually better.